Dedicated to multi-modality treatment of benign skull base tumors, Adaptive Hybrid Surgery helps to balance surgical risk with radiosurgical toxicity. Aggressive surgical interventions aiming at gross total resection have long been the standard treatment for most benign brain tumors, despite associated complications including disabling morbidity. Today, more than half of all cranial benign growths are alleviated surgically using less aggressive approaches, requiring an adjuvant treatment, such as stereotactic radiosurgery, to maximize tumor control. There is, however, no general consensus in determining when a resection is sufficient and when follow-up radiosurgery treatment is safe. Aiming to achieve the maximum safe surgical resection without any guidance may cause morbidity and irreversible neurological damage. 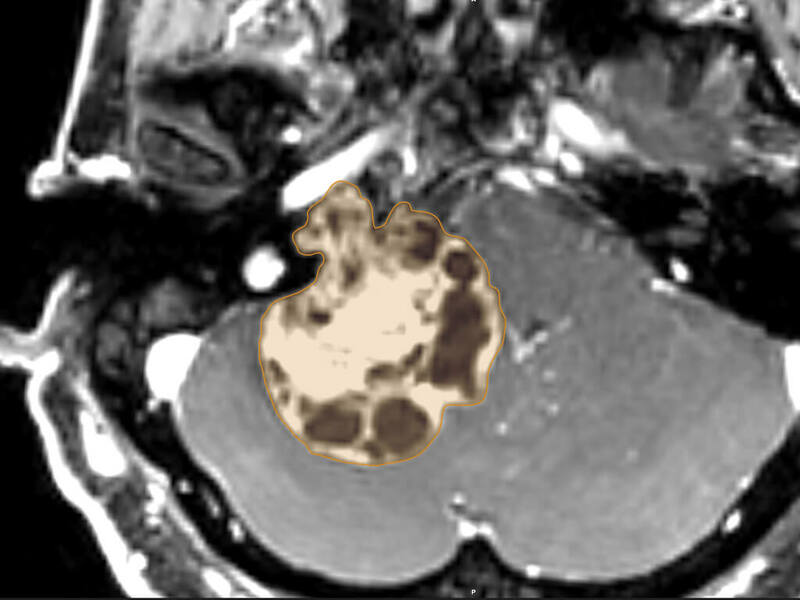 Adaptive Hybrid Surgery Analysis automatically calculates and visualizes SRS/RT treatment plans, offering the possibility to combine the benefits of surgery with the benefits of radiosurgery. 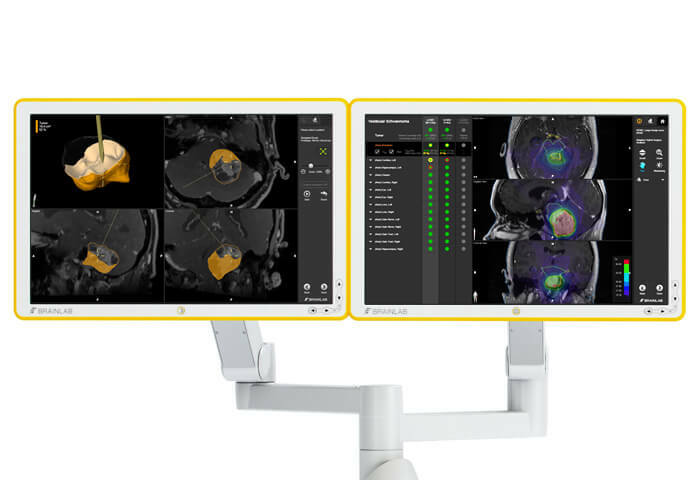 Brainlab offers a complete set of automated tools that enable neurosurgeons to continuously evaluate the feasibility of complementary radiosurgery at any time while planning and performing a surgical resection. Rather than relying on intuition, this helps establish the ideal crossover point between the two treatment techniques, balancing surgical risk and radiation toxicity when determining the extent of subtotal resection. First, the surgeon defines what is expected to be reasonable residual tumor based on available preoperative images. 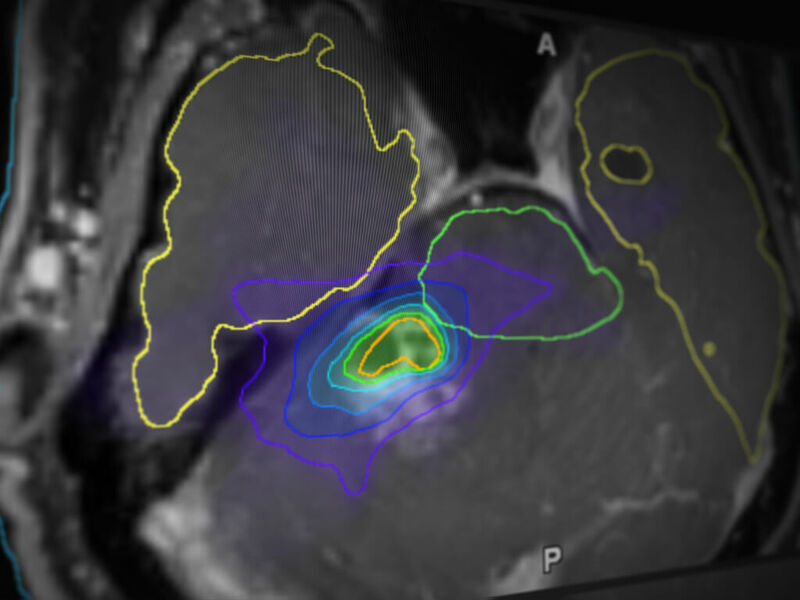 Fully automated treatment plan calculation enables fast simulation and optimization of the desired residual tumor to fulfill both surgical and radiosurgical constraints. Therefore, tumor board discussions can be enriched with meaningful information above and beyond the available preoperative images. 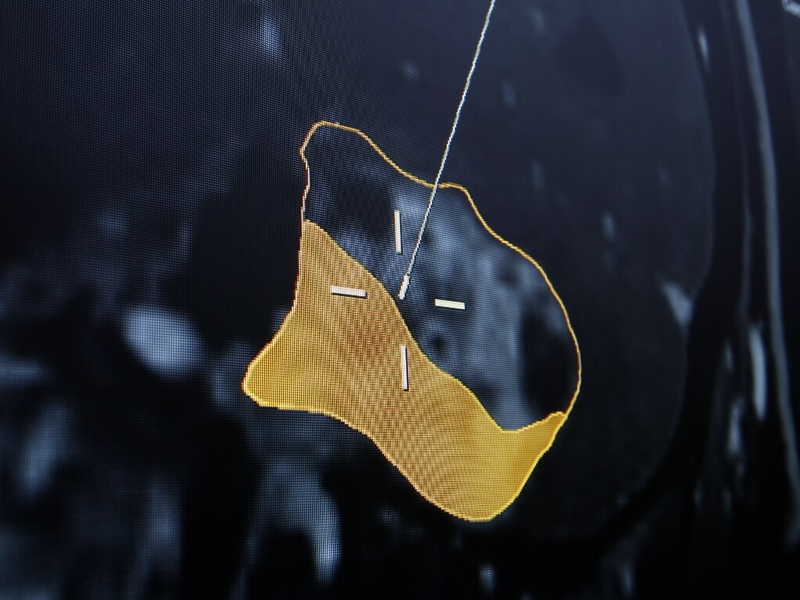 An extension of the image guided feature set allows evaluation of all opportunities throughout surgery. Intraoperative, on-the-fly update of radiosurgery feasibility is possible when the system knows the residual tumors’ properties. Elements Intraoperative Structure Update¹ calculates a residual tumor object based on points acquired inside the resection cavity and automatically transfers this information to Adaptive Hybrid Surgery Analysis. Assess all required information instantaneously and simultaneously. 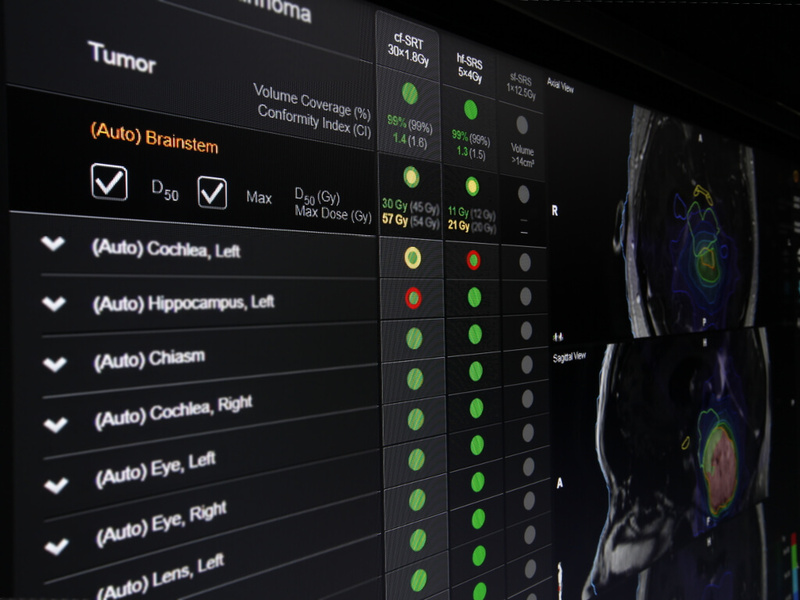 An intuitive traffic light display provides comprehensive information about tumor coverage and critical dose constraints for all three calculated treatment plans. Quick plan assessment for non-radiation oncologists is facilitated, while additional information can be accessed for advanced plan assessment.